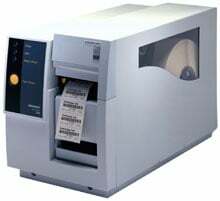 Intermec EasyCoder 3240 - Thermal transfer, 406 dpi, 4 ips, 2.5" print width, serial interface, 128KB NVRAM. Includes US power cord. Order cables separately. See accessories. The Intermec 3240B0010000 is also known as Intermec Technologies	INT-3240AS128K	.